Donna Jean Godchaux-MacKay, the enigmatic figure who danced and sang with the Grateful Dead for seven years after she boldly approached Jerry Garcia at a gig in the early 1970s, is starting over again with a vigorous attitude that has been spurred by her refreshing sense of passion for the project. Teaming with the Zen Tricksters as well as keyboard player Mookie Siegel and singer Wendy Lanter, Godchaux-MacKay recently recorded a brand-new album, and the ensemble currently is making preparations for a six-week tour that begins in February. "I’m 60 freaking years old!" she laughingly declared with a mixture of disbelief and enthusiasm before our conversation even really began. This isn’t the first time that Godchaux-MacKay has attempted to stage a comeback of sorts. A decade ago, she formed the Donna Jean Band with her husband David and her friend Will McFarlane. In 2004, she reunited the Heart of Gold Band, turning it into a family affair with her spouse, her sons Zion and Kinsman, and her dearly departed husband Keith’s brother Brian. Yet, each of her two previous efforts fell apart just as they were getting underway. Godchaux-MacKay wasn’t planning to launch into another project when she ventured to perform at the Gathering of the Vibes in 2005, which honored the 10th anniversary of guitarist Jerry Garcia’s death. "I was booked there to sing with a bunch of different bands, and the Zen Tricksters asked me to sit in on a couple of songs," she explained. Little did she know that the collaboration would prove to be one that endured. A few months later, Godchaux-MacKay was asked to participate in a benefit concert for the Rex Foundation, the Grateful Dead’s charitable arm. Mickey Hart, David Nelson, and Tom Constanten also performed at the event, and the Zen Tricksters, as fate would have it, served as the house band for the evening. "We had two days of rehearsal because we had so many musicians on the scene and so much different material to learn. I got to really see the range in how these guys could play and what they could do. 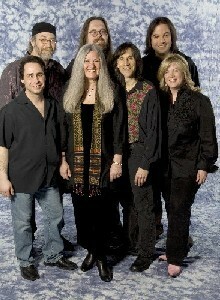 They didn’t just remain a Grateful Dead cover band," she explained. "I got to hear who they were as musicians, and I got to see who they were as people. I was very, very impressed, and I was impressed as well with the songs that I had written that I had sent to Jeff Mattson, who is the lead guitar player [for the Zen Tricksters]. They learned my songs and played them beautifully and very naturally." "The Rex Foundation show was the catalyst for deciding that we were going to get serious about joining up together, and really put heart and energy into it," she continued. "To be honest with you, it was a ready-made band, the perfect fit for me." Upon discovering that they shared a mutual interest in collaborating, the Zen Tricksters and Godchaux-MacKay decided to unite their talents and see what would happen. 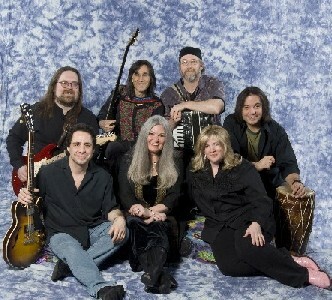 They toured extensively in 2006 and 2007, initially under the moniker Kettle Joe’s Psychedelic Swamp Revue — the name was a spinoff from one of Godchaux-MacKay’s recent tunes (Me and Kettle Joe) — before settling upon a simpler, more identifiable band name: Donna Jean & the Tricksters. 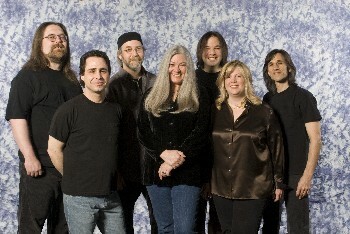 Both parties brought a stash of new material to the table, and they began working out the arrangements and debuting the songs in concert, while also revisiting many of the classic cuts that Godchaux-MacKay had recorded or performed with the Grateful Dead, such as From the Heart of Me and France as well as a cover of Loretta Lynn’s You Ain’t Woman Enough. Eventually, Mattson approached Godchaux-MacKay with the idea of working together to write material. "Jeff sent two songs with chord changes, and I sat down and wrote a melody and the lyrics to what became Shelter and He Said/She Said," Godchaux-MacKay explained. In the spring of 2007, Godchaux-MacKay and Mattson realized that Donna Jean & the Tricksters had accumulated enough songs to make an album. "There was so much unrecorded material that we just decided to go in and express it in a studio setting," she said. "Some people may pooh-pooh that and go, ‘we only like the live shows.’ But in a studio setting, a lot of times, you really get to work out [the songs] in a very contained environment. You get to find where they are and how they are supposed to sound as a band. Then, when you go out and do these things live, you have that foundation to go from and you get to expound on that tremendously in any way that you want to," she continued. 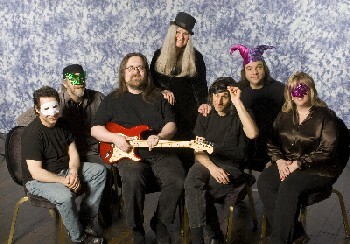 Not unlike the Grateful Dead, Donna Jean & the Tricksters allowed its sound to evolve organically, both on the stage and in the studio. Over the course of six days, the collective recorded 16 songs. "It came really naturally, which was one of the fun parts of making this CD. Everything really flowed so well that there weren’t any discrepancies. Everybody from the get-go was very in-tune with what this band sounds like and what it should evoke," she stated. To have a better understanding of what Donna Jean & the Tricksters was trying to capture, one must first examine the history of Godchaux-MacKay’s career. Prior to joining the Grateful Dead, she had been a member Atlantic Records’ team of background vocalists, which were stationed in Muscle Shoals. There, while still a teenager, she had the opportunity to sing behind a number of artists, including Elvis Presley and Percy Sledge. "There is nothing like being in the right place at the right time," she said. "Here was a little Podunk area in northwest Alabama where all of a sudden...I don’t know what happened. It was one of those things where so many musical people started coming together, and the number of musicians, songwriters, and singers, per capita, in this area exceeded that of any place else in the United States. It was a musical explosion." Despite establishing a lucrative career in Muscle Shoals, Godchaux-MacKay gave up everything to move to San Francisco in 1970. Her friends kept encouraging her to see the Grateful Dead, and one night from the back row of Winterland, she had a revelation about her future. Said Godchaux-MacKay, "I said to all of my friends when I left the concert, ‘When I sing again, it’s going to be with that band. Period.’ They just blew me away." Nevertheless, Donna Jean & the Tricksters’ debut isn’t necessarily what one might expect from the union of two acts that have been so closely associated with the Grateful Dead. Anyone who expects the eponymous album to be a straightforward, Grateful Dead-style jam session is bound to be taken aback by some of the music that ensues. Likewise, those who approach the album with the idea that Godchaux-MacKay simply will apply the concision of her Muscle Shoals background to the material will be surprised at how easily the ensemble can turn an R&B groove into a fanciful, cosmic flight. The collection effectively straddles both worlds, bridging the divide by wrestling these disparate concepts into a new shape. There are dynamic jams that erupt from the heart of tracks like So Hard and the expansive Me and Kettle Joe. Yet, there also are tunes such as All I Gotta Say when the band places its own spin upon the classic Muscle Shoals sound. Understandably, when Godchaux-MacKay was asked to describe the self-titled affair, she responded, "It’s very eclectic because it’s representative of so many songwriters." Indeed, throughout the set, the tracks that were penned by Godchaux-MacKay and Mattson, both separately and together, are commingled with cuts that were written by drummer Dave Diamond, bass player Klyph Black, and guitarist Tom Circosta. In addition, Donna Jean & the Tricksters also tackled Will McFarlane’s No Better Way and revisited Keith and Brian Godchaux’s Farewell Jack. Considering the number of voices that contributed to the authorship of the endeavor’s 12 tunes, it’s not surprising that the group shifts gears quite frequently, which is both its strength and its weakness. After all, trying to fuse so many ideas into a single, cohesive entity is not a simple task. "That’s a hard job," Godchaux-MacKay admits. "If you have 12 songs on an album, you’re not going to get every song to pull the thread from the every other song, especially with so many songwriters and vocalists. But, I think [the outing] does complete a thought. It just says that we’re a band that has a lot of range in what we can do." "One of the cool things, which I have to bring up immediately, is that we have seven lead vocalists. We have seven people who can really sing," she continued, her enthusiasm once again rising to the fore. "Having been a vocalist for so many years, I like to have options. A lot of times in bands, you don’t have the options that we have in this one." "For instance, on the song Shelter, it’s almost like a choir. The chorus is almost like a neo-gospel, ‘in-this-day-and-age, take-a-look-at-what-we’re-doing-to-our-planet’ sort of thing. I had to get that out of my system as a songwriter," she joked. "I just had to let that one rip, and I did. The cool thing about it, though, is the vocalists are just so strong. We’re able to have four vocalists doing one thing, and then three answering or vice versa." While having so many singers and writers competing for attention and exposure could have made the self-titled album unbearably complex to record, Godchaux-MacKay insists that the process was, in reality, quite liberating. "The reason that it wasn’t challenging is that all of these people in this band are very grown up in their behavior," she explained. "They know who they are. Nobody in this band is trying to be the big deal or the big Kahuna. Everybody is really, really...I know this sounds strange, but everybody really works together beautifully. There’s no jealousy; there’s no weirdness at all." In addition, for what perhaps might be the first time in her career, Godchaux-MacKay feels as if her songs were rendered exactly how she wanted to hear them. "Sometimes, there’s a disappointment because you don’t always get that. You get some kind of version of it, but it’s rare, I think, when it comes out exactly like you heard it," she stated. "In fact, the other female singer in the band, Wendy Lanter, she’s just a blessing to me. When I make demos of my songs, I always include a high harmony part, but when I get into a band situation, it isn’t there. I always miss it. That’s really why I wanted Wendy in the band," she explained. "With all of the songs that I wrote for this album, I am thrilled with how they came out. I got to express the side of my musicality that is so Grateful Dead. Yet, it’s still Muscle Shoals. It just really fit. It worked. It worked! It was an experiment that really worked, so I’m one happy camper," she continued. Godchaux-MacKay is highly optimistic that Donna Jean & the Tricksters will be around for a while, and there are plenty of indications that everyone involved is committed to the project for the long haul. "[Shelter and He Said/She Said] are precursors to the collaboration between Jeff and me," she stated. "We foresee ourselves developing and maturing into a fully collaborative band. Already, we’re working on more material. I’m working on another song of mine and Jeff’s as well as a song with Dave Diamond, who is an excellent singer/songwriter/drummer/musician all the way around." "We’re having a blast playing music together. We’re just taking it slowly and letting it happen as it happens. Yet, at the same time we’re being very proactive in making something happen as much as anyone in this world," she explained. "We want to play the best music that we can and be the brightest spot on this planet as we can," Godchaux-MacKay said with a laugh. "Anything above and beyond that is cake."